With over 30 years experience, Universal Stainless Inc. (USI), is qualified to accommodate your most demanding stainless steel requirements. 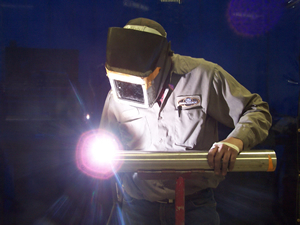 USI specializes in stainless steel fabrication, process piping, controls and system installation for the Food, Dairy and Beverage industries. Our goal is customer satisfaction providing quality workmanship in accordance with the highest standards of our profession.